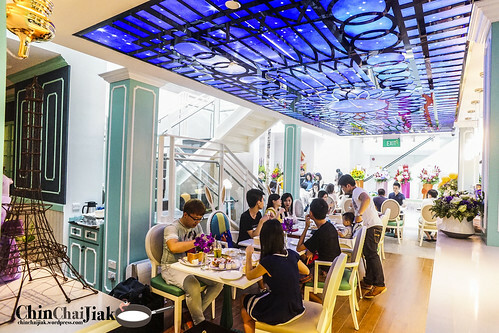 Dazzling Cafe, originated from Taiwan, is actually a side business from their accessories brand Dazzling. 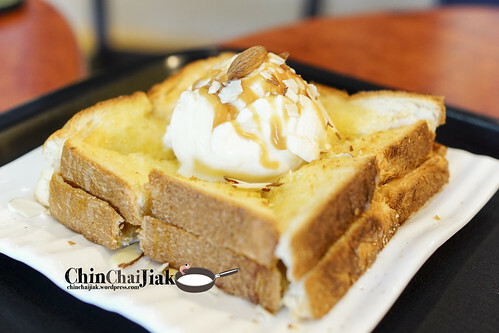 They first open their door in Taiwan in year 2010 and had been very popular and are most well known for their interesting interior design and signature honey toast. 18 April 2015 is their soft opening at the newly opened Capitol Piazza opposite City Hall MRT. As expected, the queue is already crazy and upon leaving the cafe, all queue numbers have already been taken up, which likely means that it’s already full house till closing time. 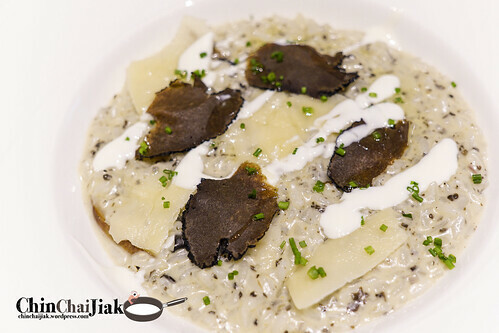 Unlike the dish name suggest, the shaved truffle and oil taste are actually more subtle than expected, just adding the right amount of fragrance but not dominating the whole dish. I like the garlicky cream sauce and the cheese fragrance of the risotto but i think it may be a little salty for some. 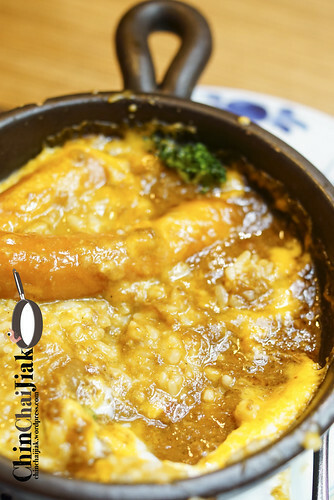 The rice grain is soft on the outside and al dente on the inside, which makes the overall texture enjoyable. 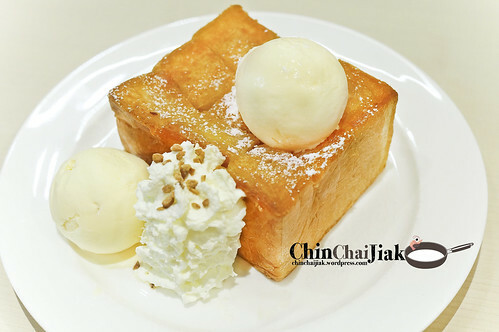 Upon ordering the honey toast, you need to state the preference for a soft, normal or crispy toast. I tried the normal version and it’s already rather crispy so i don’t think I need to try their crispy version cus it’s probably going to be biscuit crispy. To be honest, i think the toast bread is a little dry, but accompanying it with the coconut ice cream made up for it. Their coconut ice cream is very creamy and is overflowing with coconut fragrance. Sadly, the fresh Mango and Mango custard didn’t manage to play a major role in enhancing the bread and it’s like a different entity altogether. 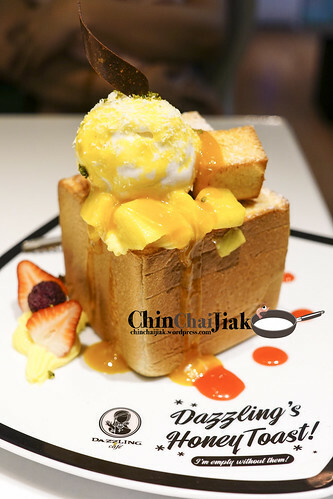 I think Dazzling Cafe can be more daring with the portion of butter. Overall, i think this coconut honey toast is very pretty, definitely an instagram-like magnet but doesn’t exactly justify it’s price tag. During my visit, there are multiple episodes of mismanagement of order which it took 40 minutes for my risotto to arrive and my toasts order were forgotten until I asked about it at the 80th minute of waiting. Then, the coconut honey toast arrived shortly but i waited for another 15 minutes for the hazelnut toast before approaching the waitress again just to be told that my hazelnut toast was served wrongly to another table upon checking. Time that i placed my order – 2.18pm. 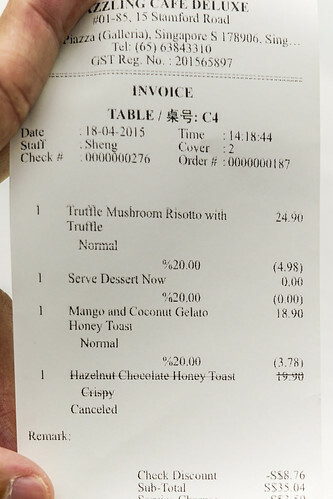 The Hazelnut Chocolate Honey Toast order was cancelled and i was given a 20% discount. All in all now I had waited for 95 minutes and was told that I have to wait for another 30 minutes if I still want my hazelnut toast. As much as I understand that it’s their first day of operation, i was rather upset that I need to wait for a total of 125 minutes for a piece of toast so i cancelled the most anticipated dish that I ordered. The crowd is overwhelming so i can understand when the waitress told me that each honey toast need 40 minutes of preparation but not 1 hour and 20 minutes for my coconut toast and definitely not 2 hours and 5 minutes for the hazelnut toast. Let’s hope that Dazzling Cafe can quickly sort this out as it’s a big minus to the overall dining experience, despite giving me a 20% discount, and we left the restaurant still hungry. I arrived excited but left disappointed due to the series of unfortunate events. However, putting that aside, the risotto that I had excites me a little more than expected. 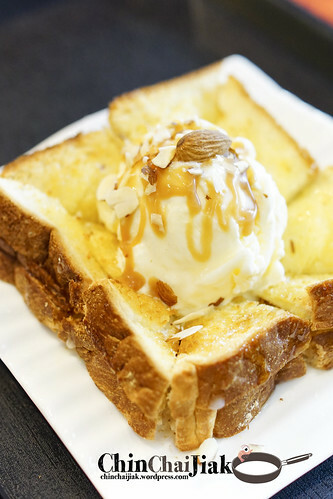 However, judging based on the coconut mango honey toast, it fell short of my expectation and seems like i will still continue my wait for the best Shibuya Honey Toast in Singapore. If you ask me, understanding Singaporean’s craze for pretty food and the willingness to queue, it’s probably not the best time to visit now. But I have to agree that their Honey Toast is really skillfully constructed and they score a very high point in presentation. 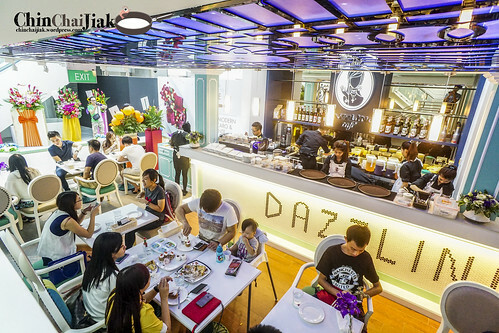 For the food photo fanatics, Dazzling Cafe is a place not to be missed. For the rest, I suggest to wait for a couple of weeks to avoid unecessary waiting for a “not bad” meal in this cafe. 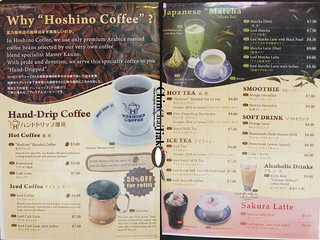 Hoshino Coffee opened it’s first shop at Japan in March 2011 and had been widely popular since then. Till date, they had expanded to more than a hundred shops in Japan. 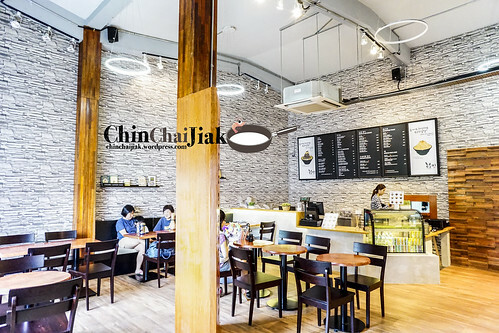 Their first overseas franchise store opened it’s door for business in Singapore at year 2012. 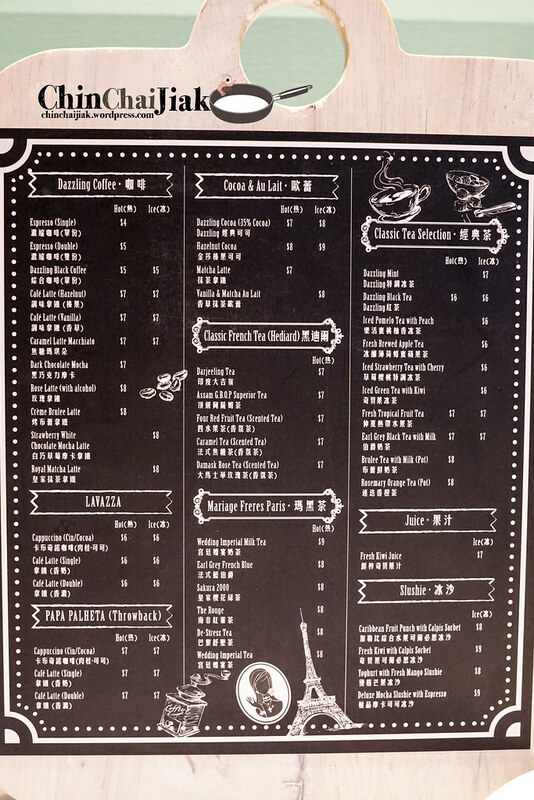 Among the restaurants at Plaza Singapura, Hoshino Coffee has one of the longest queues and is always full house during meal time. 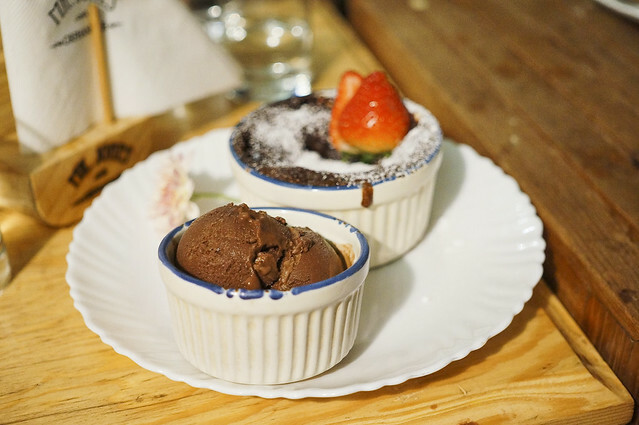 Their dessert stood out among the menus and the two most popular desserts are the souffle and the french toast. I visited Hoshino a couple of times and here is my consolidated review. 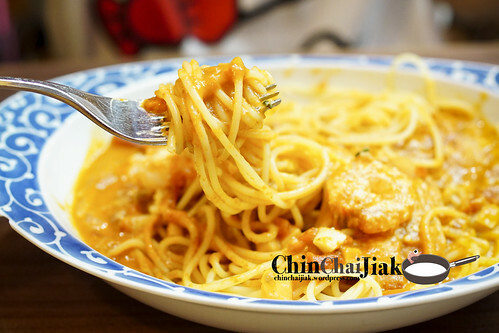 As the name suggest, the linguine is served in a creamy lobster bisque base with added cheese, topped with fat prawns and small cubes of mushroom. The tomato base sauce is not too heavy as I thought it and has a sweet and light crustacean aftertaste. They are quite generous with the portion of pasta, as well as the bisque. Some tomato base pasta is good initially but it kind of get too cloying overtime. 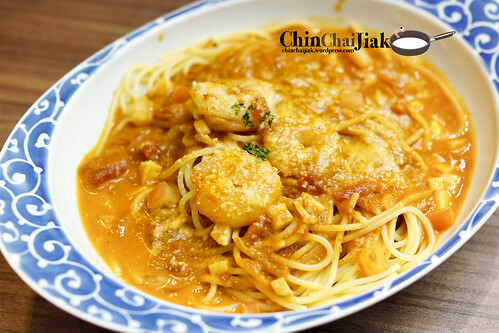 For Hoshino’s lobster bisque paste, the flavour is just right and despite the big portion, i find that finishing the whole portion is not a difficult task. This dish is not fantastic, but not bad. At least it’s worth my second try. Among the limited choice of main courses, this baked curry rice is my favourite. 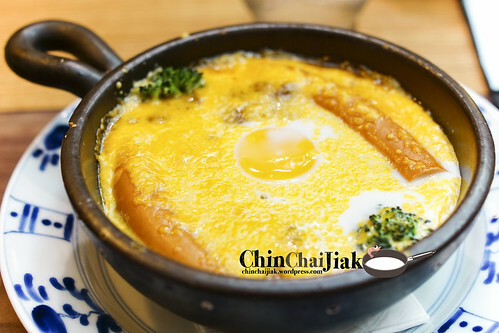 Nothing beats a portion of rice, baked in Japanese curry meat sauce, and accompanied by molten egg yolk and melted cheese. For some, this combination may be a little too much but for people like me who very much has a liking in strong flavour, i enjoyed this very much. This curry is a little spicier than a typical sweet Japanese curry and i love the rich aromatic curry fragrance. 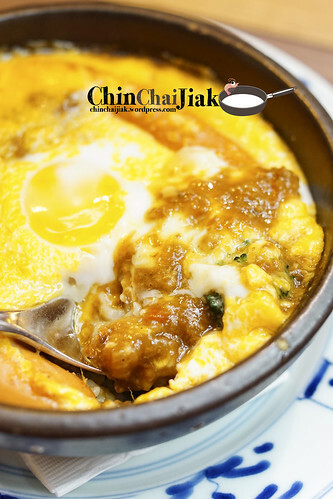 I think the right way to enjoy this is to stir in the egg yolk and melted cheese within the hot pan and gobble it together with the curry infused rice. Shiok. A souffle is a lightly baked cake that is made up of two main ingredients – eggs and flour. The puffed up cake is served fresh from oven and therefore a minimum waiting time of 15 minutes is required. 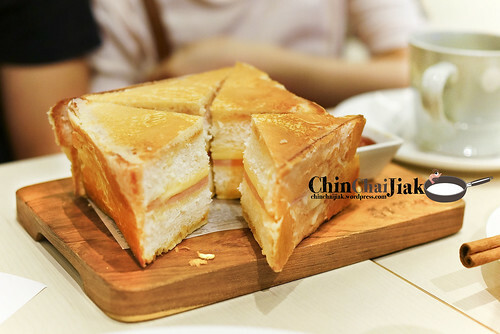 I think that the soft fluffy texture is excellent but taste wise, it is like a less sweet version of our Singapore’s steamed sponge cake (鸡蛋糕). I’m not saying it’s a bad thing to taste like steamed sponge cake but it’s just that the price tag is a little too high for such quality. Apart from the cake, the milky soft serve is much to my delight and goes perfectly with the lightly sweetened cake. The texture of this souffle is a 9/10 but taste wise is only a 6/10 in my opinion. This french toast doesn’t come with a cheap price tag either, but i had returned multiple times to Hoshino just for this french toast. 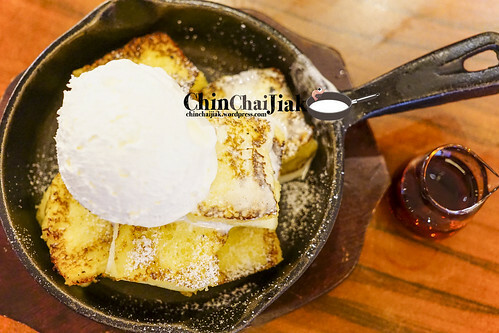 They serve their french toast in small rectangular blocks of thicker-than-usual toast and is wrapped by a layer of sweet egg coating. Unlike our Singapore’s version which is normally pan fried, Hoshino’s version is toasted and there’s almost zero or very little presence of grease. The homemade whipped cream is unlike those typical whipped cream that is out in the market. The texture is very compact, with very little air folded in and it melts in your mouth. It’s very lightly sweetened and is filled with milk and butter fragrance. This is my regular order when i visit Hoshino. 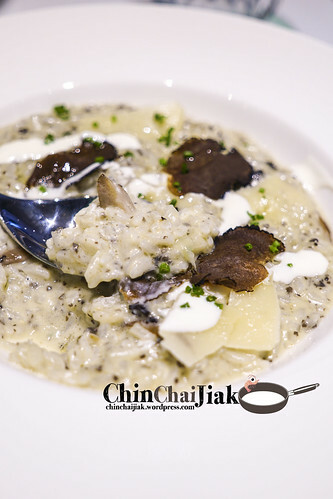 Although Hoshino doesn’t has the most exciting and most innovative menu, their main courses that I had are rather fine and I consider it as one of the better restaurants at Plaza Singapura in term of taste. However, if the pricing is taken into consideration, some people may think that it’s not exactly worth it because for a similar price, we can find something better elsewhere. For me, it’s good enough, and the location is rather convenient for me, and thus the multiple visits. However, most of the time, I will just have a cup of caffe latte and their french toast. i will only occasionally order their main course when I’m feeling a little richer. 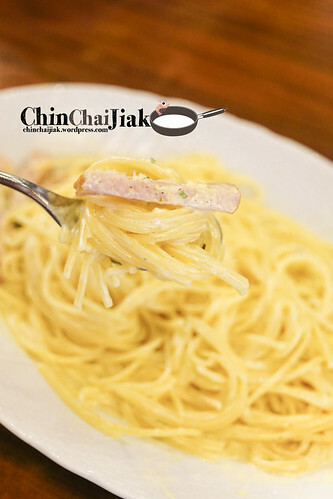 I also had their Carbonara before. At $14.00, they give you five slices of bacon. It’s true that the main focus should be on cheese and egg sauce (which it is indeed not bad), but five slices of bacon seriously? 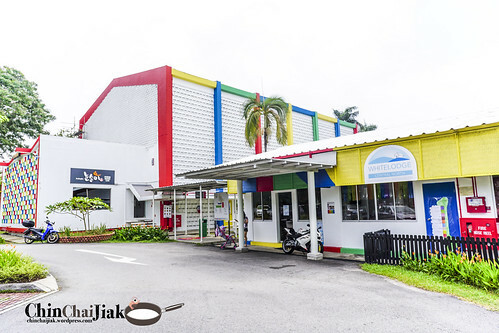 Nunsongyee (snowflake) is a relatively new Korean dessert cafe that is situated in one of the really ulu location, among the landed properties at the Serangoon Gardens vacinity. 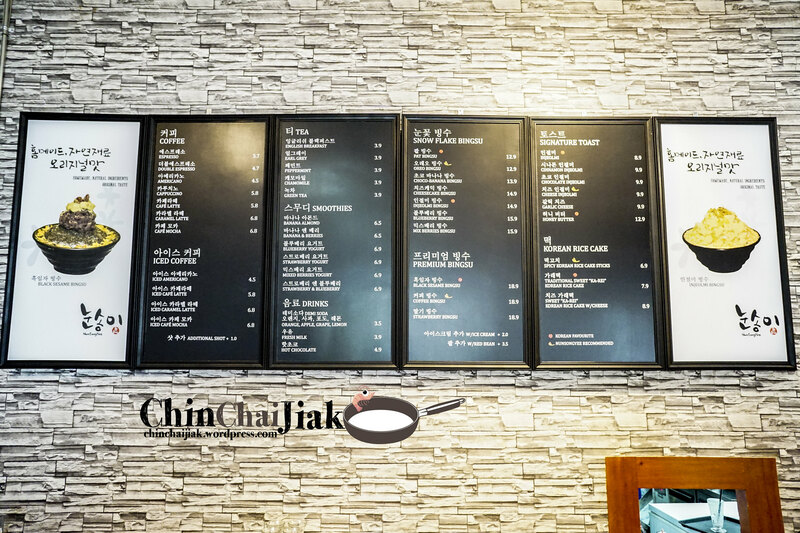 They specialise in authentic Korean dessert, mainly Bingsu, and things like toast and even spicy rice cake. It was quite empty at 11.30 am and i took this opportunity to have a short conversation with the young Korean lady boss. 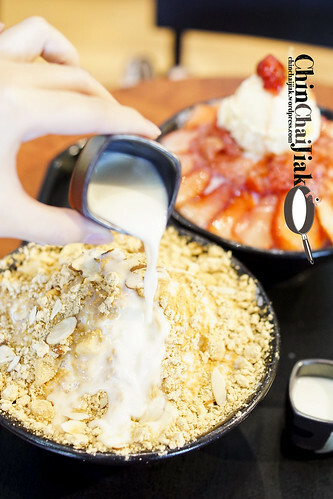 Miss Eun Jin, the lady boss, quits her job in Singapore after two years and decided to open a cafe selling her country’s most popular dessert – Bingsu. 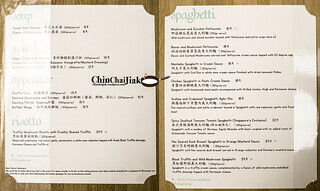 She is confident that Singaporeans, that are well known for the love for food, will embrace this dessert. She also explained between lower rental, larger shop area and convenient location, she chose the first two. She does not want to sacrifice the larger floor area, which equates to her customer’s comfort, in exchange for a convenient location in town. 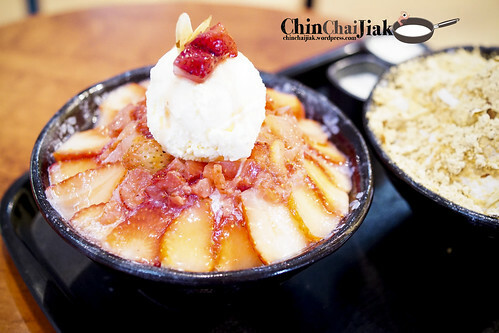 Bingsu, the signature dish of Nunsongyee, is currently the most popular dessert in South Korea. 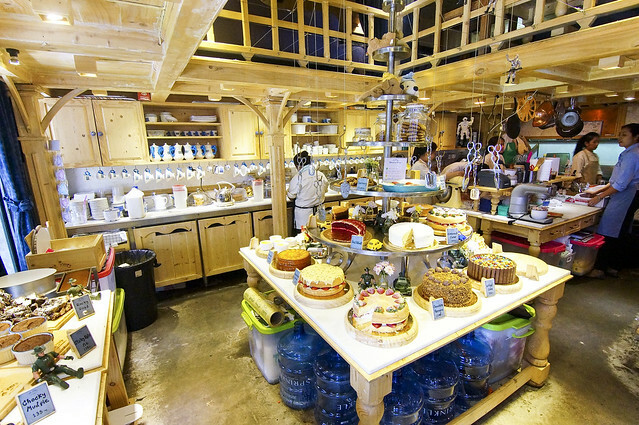 This cafe is best known for it’s unique Injeomi Bingsu. Injeomi is basically sweet Korean rice cake (tteok) made by steaming and pounding and the end product is usually tossed in powdered coating that is made from dried beans, nuts or seeds. It’s something like our Muah Chee but they grind the powder really fine. I think the roasted soy bean and almond taste are the most evident and with added sugar. Don’t judge the taste of this Injeomi Bingsu by it’s appearance. In my opinion, Nunsongyee’s Injeomi Bingsu is really well done. Usually we don’t associate cold dessert with powdered nuts or beans because the end product would be messy and lumpy. 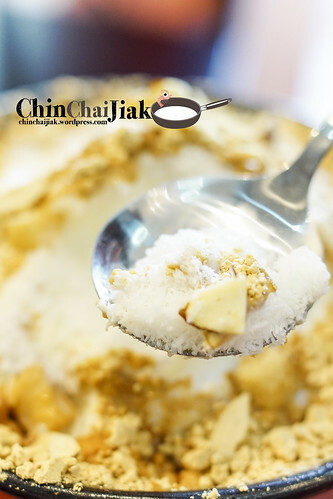 The saw-dust-like finely shaved milk ice and the powder mixed unexpectedly well and creates a blend of peanut-butter-like texture when consumed together. The sticky rice cake goes perfectly with the not overly sweet mixture and it completes the dish by adding a dimension of chewiness into the crunchy, ice sweet texture. The Bingsu I had in Seoul also pales in comparison to this. And the secret to the great taste? Mother’s love. No. Really. Miss Eun Jin’s explaned that her mother personally selected these ingredients and sent it over from South Korea in order to preserve the authentic Korean taste. 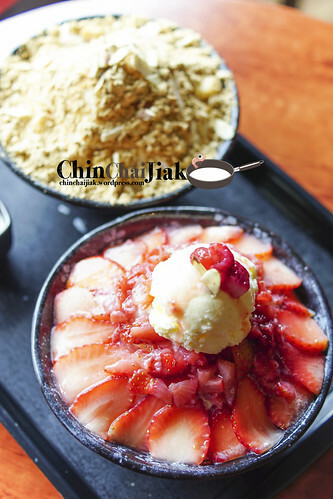 If you like to have something that is less sinful, this premium strawberry Bingsu may be a good choice. Note that the premium is in term of ingredient but not such much about the taste. Stacked with slices of fresh Korean Strawberry with crunchy red beans hidden beneath the shaved ice, it’s topped with a scoop of vanilla ice cream. Fans of Korean Strawberry will find this a delight. I find this especially enjoyable during a hot sunny afternoon (or probably lost your way while trying to look for this place). In term of taste, I still prefer the Injeomi Bingsu because no matter how sweet a strawberry is, it unavoidable that it still has a tinge of sourness. But there’s also a scoop of ice cream that made up for it, which is nice. For people who has a sweeter tooth, there is also a cup of condense milk blend provided. I poured everything in by the way. This is also my favourite. At $12.90, it’s actually kind of pricy for a serving of toast but i really love the taste. How should i describe this dish? 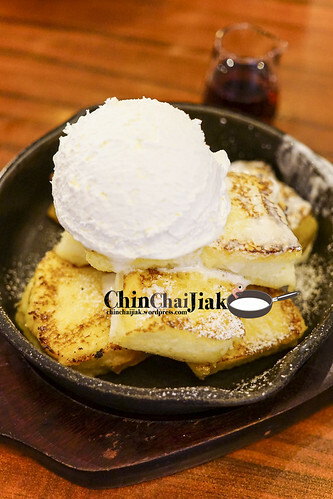 Imagine a generous serving of butter melted over two slices of thick crispy toast, with pieces of sweet chewy rice cake sandwiched between the toast, drizzled with honey and topped with a scoop of smooth creamy ice cream. 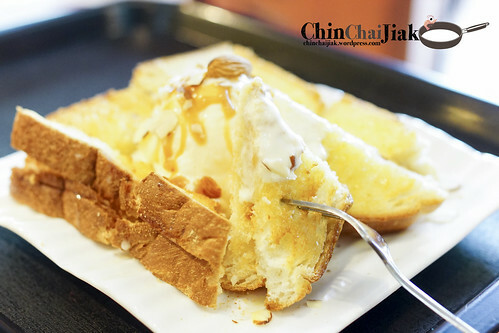 It reminds me of a less fluffy version of Shibuya Toast that i had in Bangkok, only not as thick. If you ask me, will i pay $12.90 for this toast on my next visit, I probably will say yes. I thought Nunsongyee has a first mover advantage because Bingsu is not a craze in Singapore, yet. No matter the price, as long as taste is right, we Singaporeans are generally willing to spend a bit more and to travel abit more. I previously had one Bingsu at a stall near Clarke Quay and it was a disappointment and too far off from the authentic taste. However it’s a different story for Nunsongyee. It’s very much similar to the ones i had in Seoul and i find comfort in having a good Bingsu without travelling to Seoul. 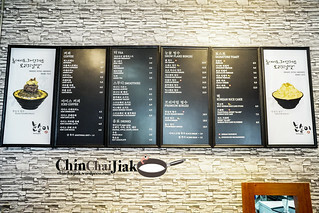 No doubt the price is to the higher side and it’s not exactly a cheap dessert, i guess this is the premium price to pay if we want an imported authentic taste of Korean food. For me personally, I am quite certain that I will return to Nunsongyee. 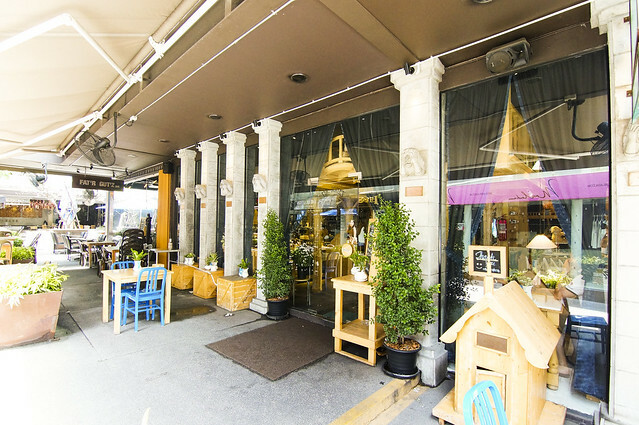 Address: Siam Square Soi 5. 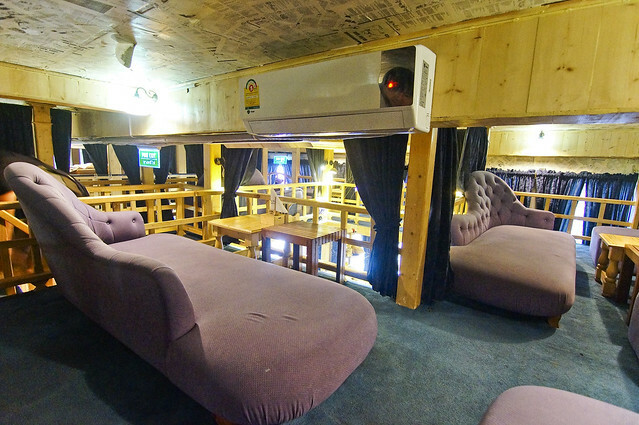 Simply go to Google Map and enter “Mango Tango Bangkok” and you will get the actual location. 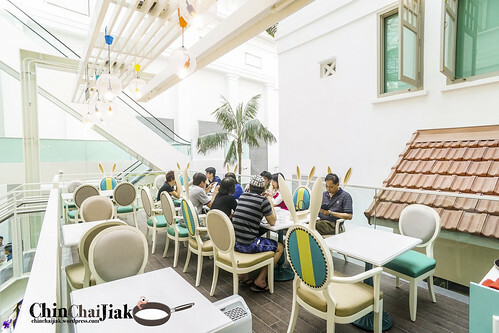 It is only a couple of minutes walk from Siam Station. 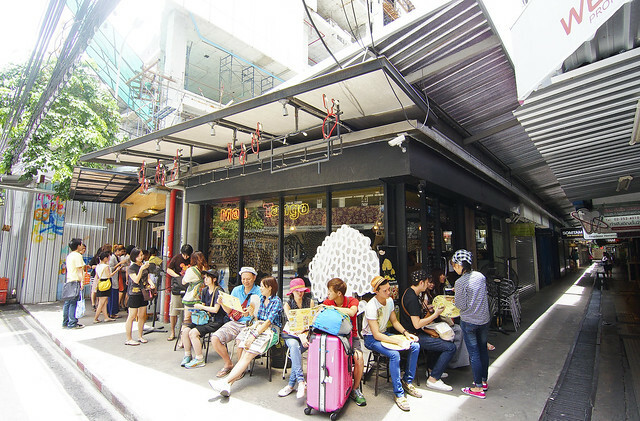 This place was recommended by my friend who happened to wander into this dessert place in Bangkok. Mango Tango, as the name suggest, they specialize in mango dessert. I visited their branch at Siam Square Soi 5 for the second time as I was bringing another friend to try, and it’s already queuing before the shop opens at 11.30am. 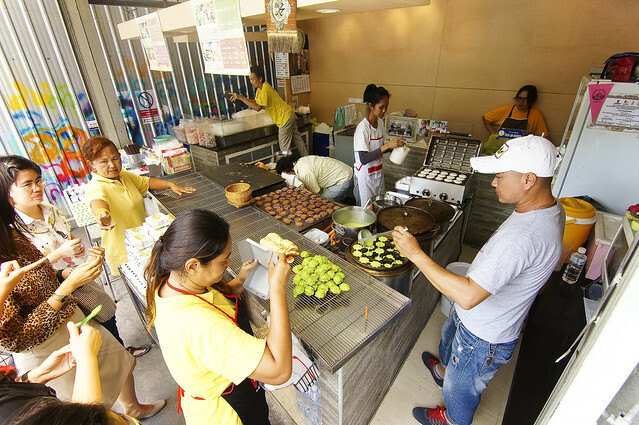 There is this stall just beside Mango Tango that sells quite decent Thai Pandan pastries. I will mention more on this stall after the Conclusion section of Mango Tango. The one thing that I don’t like about this place is they have a rule of each person must order an individual dessert before you are allow a seat. This branch can only house only about twenty diners at a time. They do have branch at other places. Visit their official website for more information. 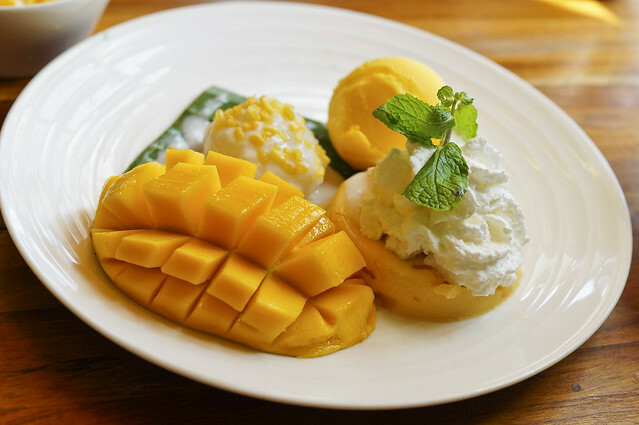 This platter is like the McDonald’s big breakfast of Tango Mango where you get to sample everything – fresh mango, mango ice cream, mango pudding and their sticky rice. For both times, the mangoes are really fresh and sweet. Oh by the way, the mango sticky rice is very so-so. Do consider if you want to order it. I ordered cus I thought it will make the photo looks more complete and nicer. LOL. Mango Salsa is actually Mango pudding in fresh mango juice. 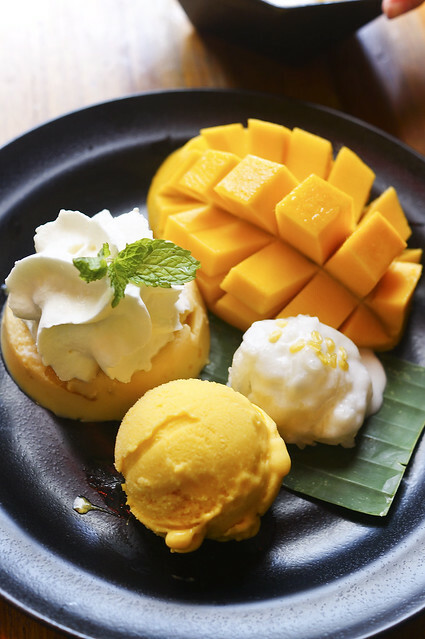 The mango and pudding taste exactly like the Mango Tango with Sticky Rice dish. The main difference is the generous smooth fresh mango juice topped over the pudding less the ice-cream. 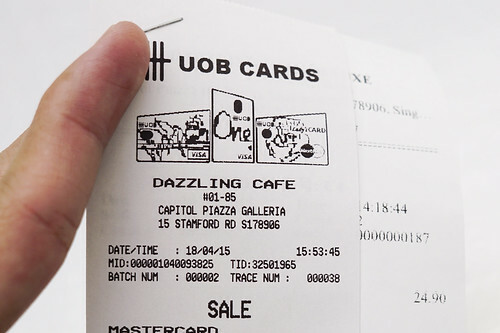 This is a cheaper version that only cost less than S$3.00. It’s diced Mango in Milk Sago with less-generous portion of fresh Mango Juice. I think the selling point of Mango Tango is the eatery is really clean, and apart from their fresh juicy mango, the variety of mango desserts may also be the reason for the good crowd. 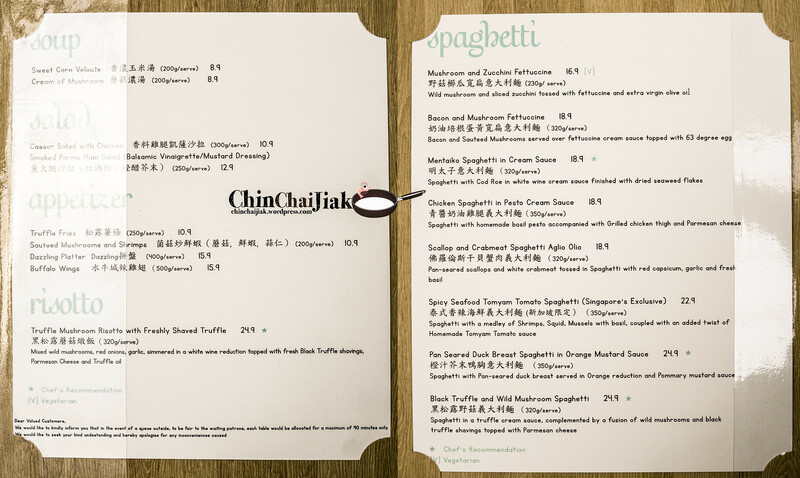 I thought their food is actually rather well done although part of the reason for the long queue might be due to the small seating capacity in the restaurant. Their pricing is also very decent for their quality mango. 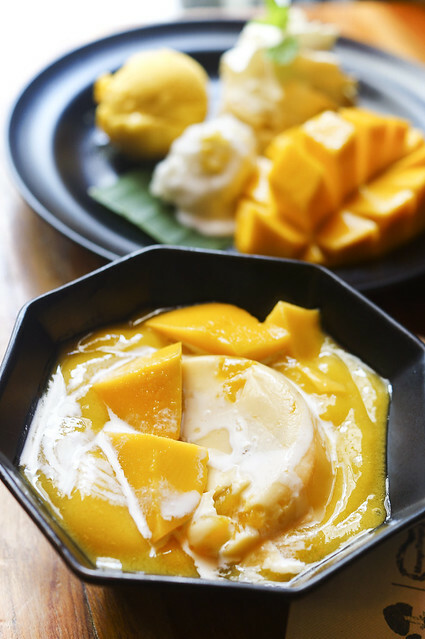 In my opinion, Mango Tango dishes lack a wow factor. I am only saying this because i am comparing this with a Hong Kong Dessert Xu Liu Shan (许留山). 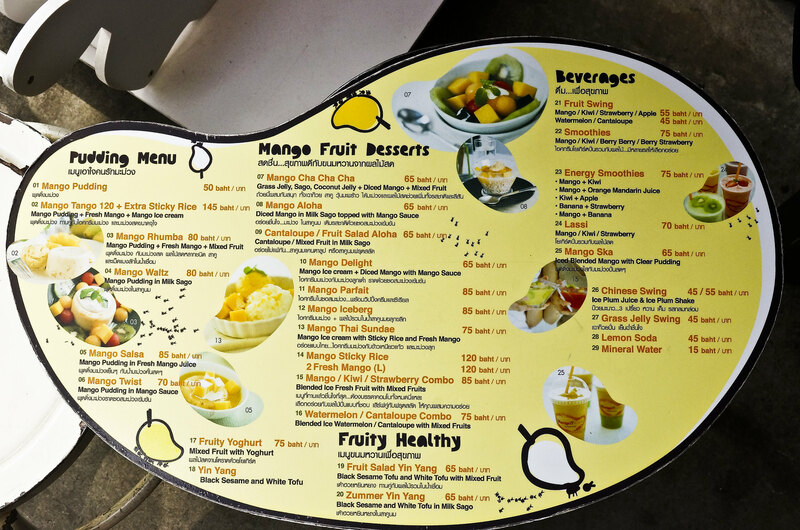 Not sure if you had heard about it but Xu Liu Shan sells dessert that is very very similar to Mango Tango, but at a slightly higher price, but there is almost no queue in Hong Kong. As such, queuing for this at Mango Tango makes me feel like it’s not super worth it. But of course i am not at Hong Kong, so Mango Tango is good by itself in Bangkok. Apart from the waiting time, i’m actually OK to pop by in the future. But if the queue is really long, then i probably get myself something else, like Afteryou Dessert at Siam Paragon or Mont Nom Sod at MBK. 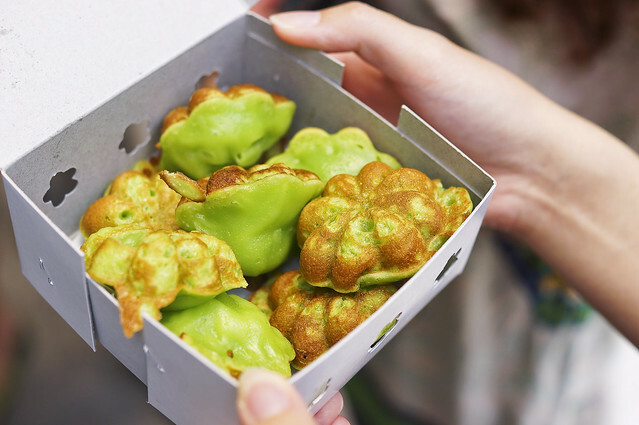 While i was waiting in the queue at Mango Tango, i was attracted by this simple-looking stall that is selling something like Pandan Pancake in flower shape. All cakes are freshly made on the spot and the piping hot pastry gives off a very aromatic Pandan taste. I remember it’s about 30 baht for a box of eight. Mixture of different flavors is possible. Cheap and good! After You Dessert Cafe apparently is the rising star of all dessert places in Bangkok. 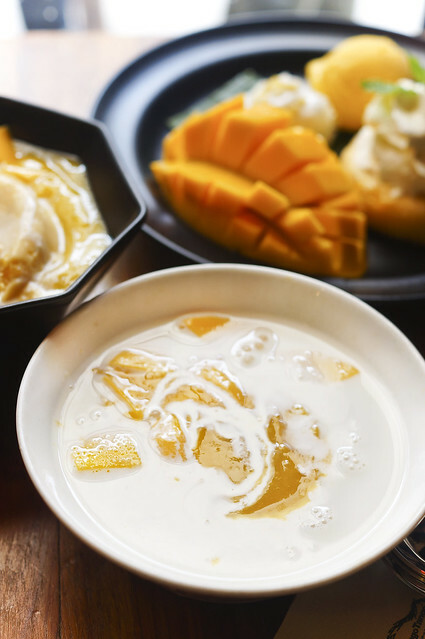 There is a legend that says ‘you have never been to Bangkok until you tried Afteryou dessert’. 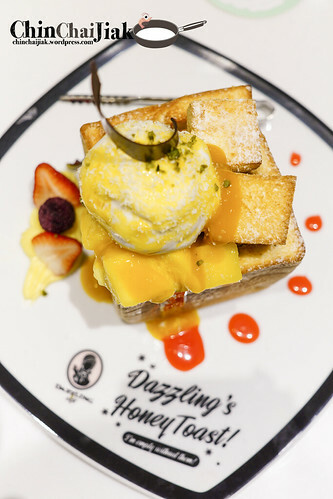 I visited this place once previously but I thought this saying was too exaggerating but nevertheless, After You Dessert Cafe is worth the visit for their Signature Shibuya Honey Toast, for at least once. Twice, I visited their Siam Paragon branch situated at the basement. It was rather early at about 10am so there is no crowd. Awesome. 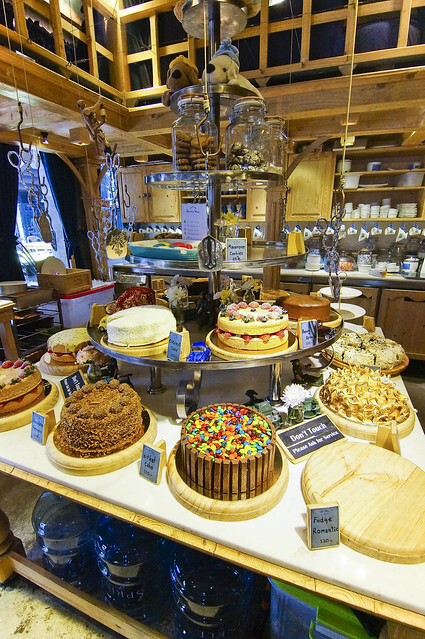 After You Dessert Cafe mainly sells sweet items like pancakes, waffles, ice-creams and toast etc. They only have a handful of savory items on their menu and one of them is the Grilled Ham Cheese Sandwich. 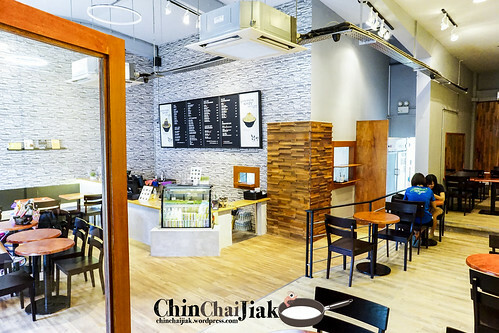 They have another branch at Thonglor area, that is just opposite to Roast Coffee & Eatery and Mr Jones’ Orphanage. I didn’t pay a visit to this branch as i was already too full after having brunch at Roast and dessert at Mr Jones’ Orphanage. 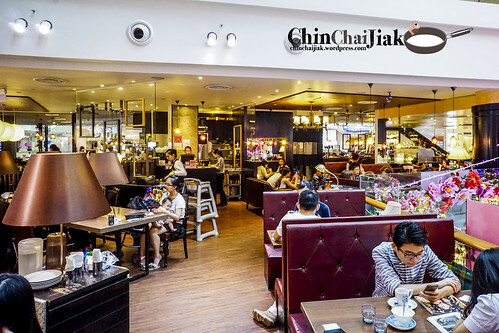 But one thing i am quite sure is, comparing to Siam Paragon’s basement branch, food shots at this Thonglor branch should turn out better due to the natural lighting. The whole idea about this Shibuya toast is actually very simple. This is not a sophisticated dish which requires long preparation time. I personally think that the reason for it’s popularity may just be it’s well toasted soft fluffy thick toast with melted butter evenly infused into every single slice of the toast. 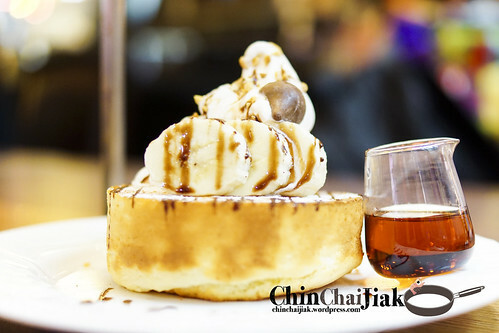 After You Dessert Cafe then topped the toast with their fresh vanilla ice-cream and generally speaking, an additional scoop of Ice cream can almost never spoil a dessert. Complete this dish with honey syrup for those who have really sweet teeth. To be frank, this dish is definitely not out-of-this-world, but i would describe this dish as a ‘very satisfying’ dessert. The formula to this dish is even simpler. 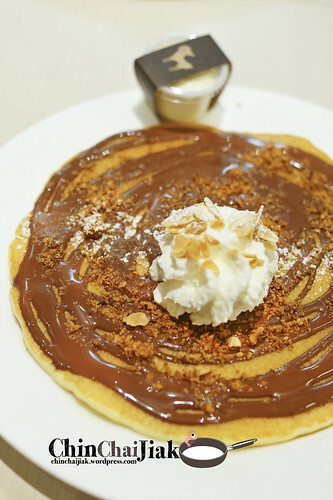 If i am someone who love Nutella and Hazelnut, i will love this. After You Dessert Cafe provides a small tub of butter to be applied separately. I thought adding the butter is a good idea as sometimes it taste a little dry with just Nutella alone. I have no complain about the pancake. Soft, warm and fluffy. 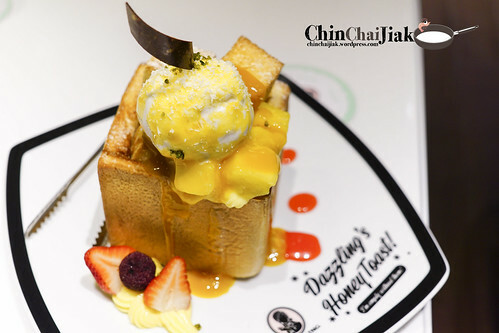 Using the same thick toast as the Signature Shibuya Honey Toast, this savory fluffy toast can be an option for those who are not very into sweet stuff. For certain kind of toast, i prefer the toast to be very thin with a lot of fillings, but not for this Grilled Ham Cheese Sandwich. The bread itself is rather enjoyable with two layers of melted cheese and a layer of ham. 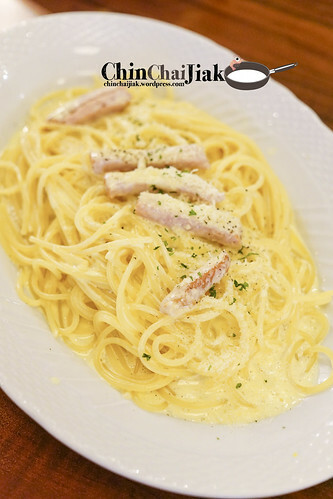 I think this is the other rare savory item in After You Dessert Cafe’s Menu. 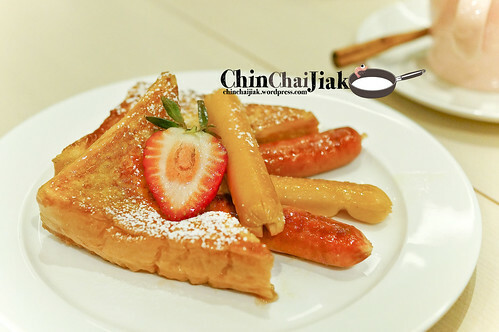 I thought the french toast is OK. It’s something that we can easily find in Singapore so nothing fantastic about this and can order something else on the menu. 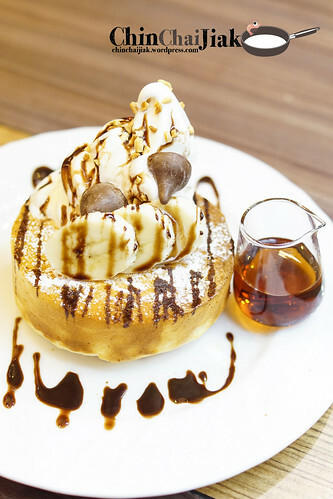 Personally, i think that this place is not a die-die-must-go place but if i am at this area, specifically Siam area, i will make a point to visit After You Dessert Cafe just for their Shibuya toast. I really like the buttery taste of their toast that goes very well with vanilla ice cream. For those who like an even stronger flavor, they also have Shibuya Chocolate Toast, Shibuya Nutella Toast and even Cheddar Cheese Shibuya Toast. You may want to give yourself a reason to pop by this cafe to see what is the big deal of these Shibuya Toast. 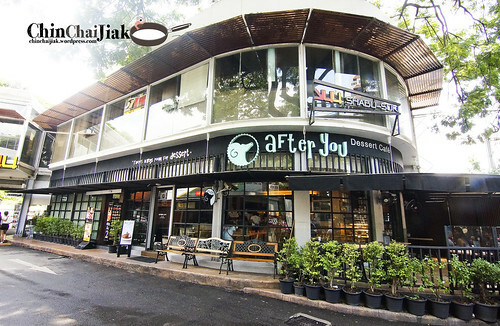 Mr Jones orphanage is located at the ‘atas street’ of Thonglor. 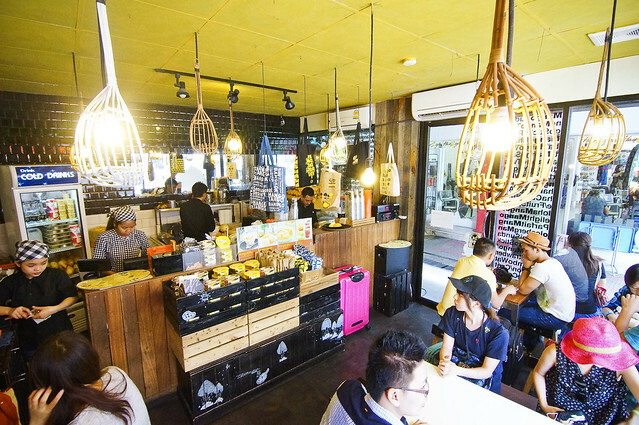 You may have noticed that the address is exactly the same as Roast Coffee and Eatery. 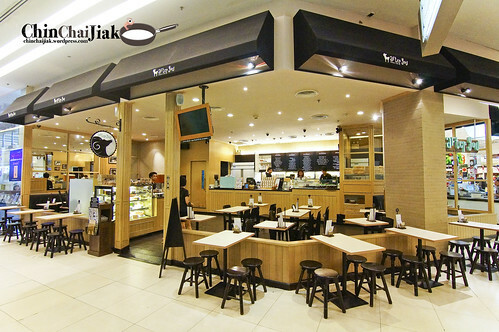 Yeap, this cosy little cafe is at level one of the SeenSpace, just below Roast Coffee & Eatery. I guess as a child everyone would had dreamt of such a place where there are endless candies, cakes, chocolate and ice cream. Mr Jones orphanage is exactly such a place, only that you need to pay for it. LOL. 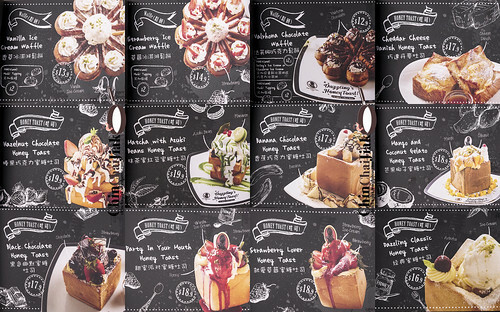 I would have to say the selling point of this cafe is the design of their cafe instead of just food. 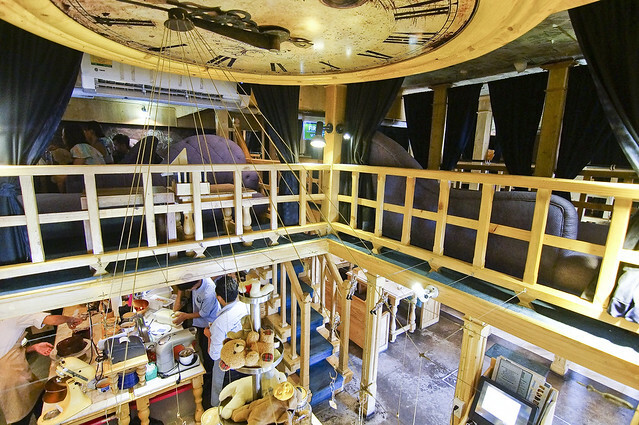 Upon entering this “wonderland”, on the left lies a kitchen that is literally full of pastries, with the ceiling decorated with a giant wooden clock. In the middle, there is a long table arrangement that reminds me of of mini Harry Potter’s Hogwarts dining hall. 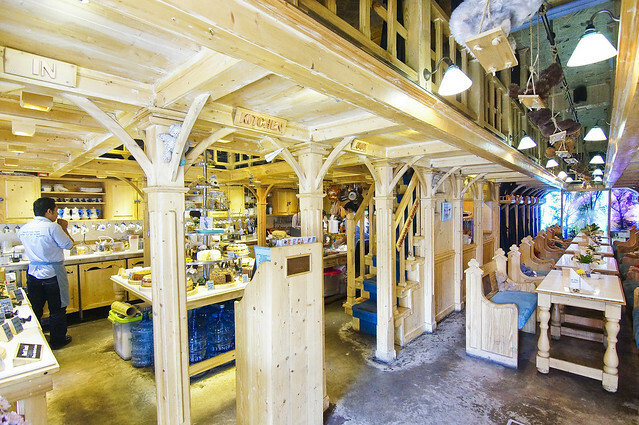 On the right, it’s labelled as “The Playground” where there is this large carousel-design dining table in the center. The area is the most well lit and if you want to get some good food shots, dining at this area will never go wrong. 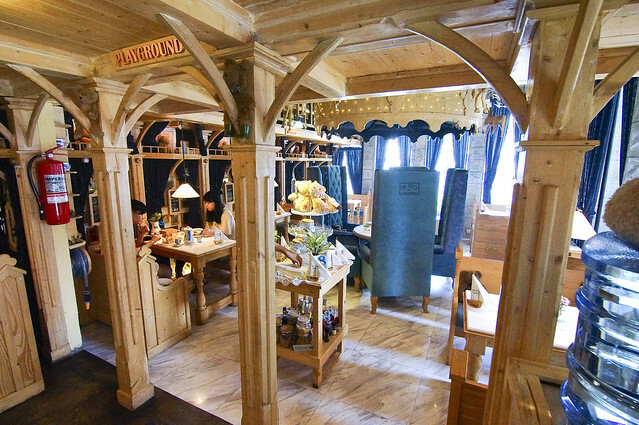 However, I am most impressed by their attic dining area and this is where i choose to have my meal. There is a ‘secret attic’ that is leaded up by a flight of narrow wooden stairs. I have to bend my knees and lay low so that my head won’t knock onto the ceiling while exploring the “secret hiding place”. 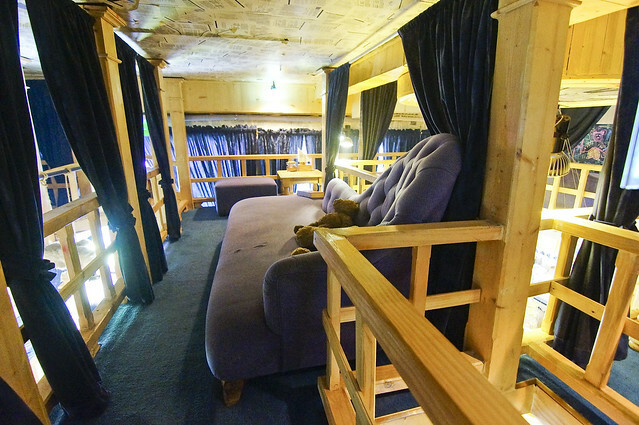 Low seating sofas and tables are placed at various corners of the attic with decorative items like toy soldiers, library books and plush toys are scattered all over the dimly lit attic, with no ‘adult’ (the waitress) looking at what you are doing. It’s like you had been transported out from Bangkok, and into a place that only exist in a story book. As i reach there quite early at about 11 am, i had the whole attic to myself with the freedom to walk around, sleep flat on their sofa, or do anything you want. Best chill-out place ever. Since I just had my breakfast at Roast Coffee and Eatery, I didn’t get to try Mr Jones’ main course and I only ordered their desserts. 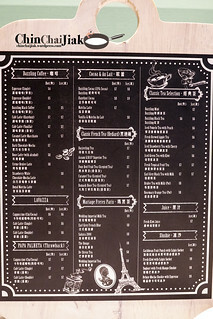 Mr Jones Orphanage do offer brunch menu like Egg Benedict, Sandwich or a full breakfast platter. But now the problem is, WHICH DESSERT SHOULD I ORDER?! 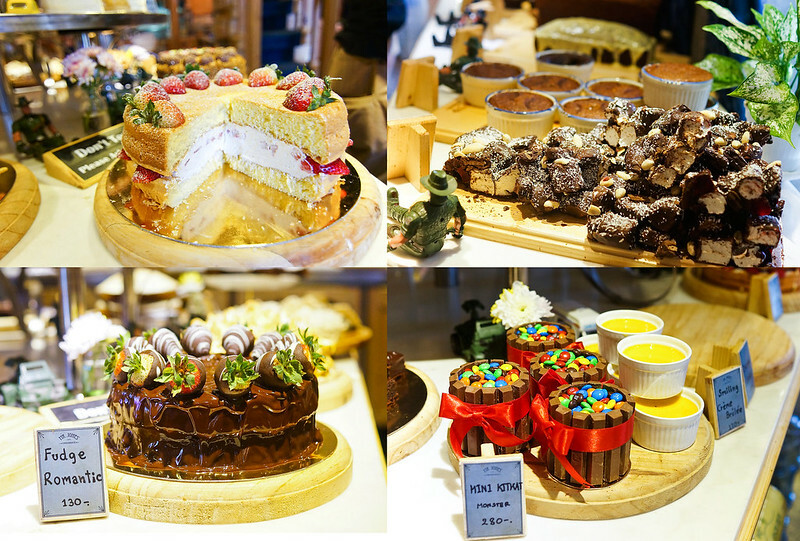 There are a wide selection of desserts like Lemon Meringue, Passionfruit Sponge Cake, Rocky Road, Chocolate Fudge cake, Coconut Cake, Chocolate Ferraro, Oreo Pie, Berry Sponge and even M&M + Kit Kat cake, which they call it the “Kit Kat Monster”. In the end, i finally settle with their coconut cake at 100 baht (cus Thailand is famous for their coconut), Chocolate Ferraro at 110 baht and their Chocky Mud Pie (135 baht). 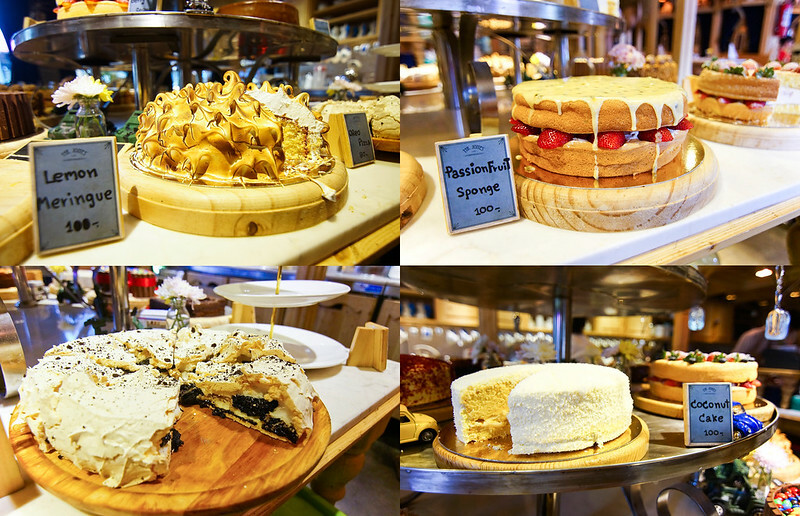 Their coconut cake is divided into four layers, first layer with the fresh coconut shavings, then the coconut cream, the sponge cake with a layer of fresh coconut meat sandwich between the sponge cake. I thought this is something that is not commonly found in Singapore. For those who like coconut, this is worth a try. The staff recommended their Chocky Mud Pie and this pie was served piping hot from the oven. Nothing beats a molten chocolate center that goes with a mouthful of dark chocolate ice cream. Mr Jones Orphanage has actually little main courses to offer therefore i would suggest having your breakfast at Roast Coffee and Eatery at level 2 and pop by to experience this cafe and to have desserts. Don’t be fool by it’s plain-looking main door. I think it’s worth the visit cus this is something that we don’t have and will not have in Singapore. And apology if my photos focus a little too much on the interior design instead of the food, but that is because i really really like the interior of the cafe. Definitely an eye opener and a place not to be missed, especially if you are already at Thonglor area. The nearest BTS station to Mr Jones Orphanage is Thonglor station and takes a 15 minutes walk. Direction is exactly as coming to Roast Coffee & Eatery. 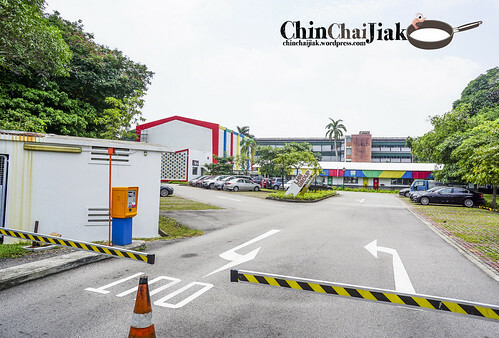 Taking a cab to this place will be much easier. If you choose to walk, you just need to walk on one straight road on Sukhumvit 55 and turn left into Akkhara Phat when you see a building call “Home Place”.